So, I have some almond flour from JK Gourmet that I got a while back and I made pancakes with it in the past, but I wanted to see if I could make them even better. 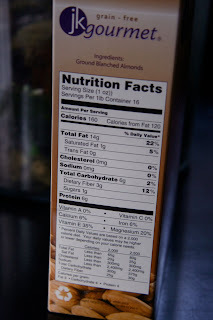 When I am looking at gluten free flours, I always start reading the nutritional information. 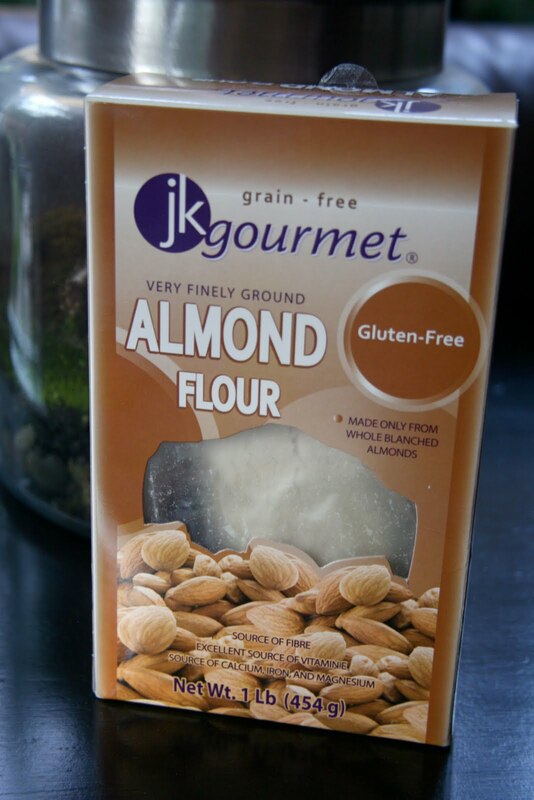 Since JK Gourmet's almond flour is just blanched ground almonds it is loaded with vitamins and minerals! I was really excited to get in the kitchen and play with some pancakes knowing I was about to make some super high protein vitamin packed goodness. I know, I am weird like that...I have to make something healthy even if I think I am splurging on something as simple as a pancake. This time I was focusing on making them fluffier, so I added some beaten egg whites along with buckwheat flour to give it some chew. I happened to pick up some amazing strawberries on sale at the store today too. Totally NOT a coincidence. As soon as I saw these, I knew I wanted a strawberry shortcake of some sort. I did not have any dairy free ice cream (my favorite way to eat strawberry shortcake), so I started looking around at my options. I saw the coconut flour in the pantry and thought the flavor would be a great addition to this concoction I was making, so I started mixing...um, YUM! Perfect! These were so moist and chewy. The illustrator was making his savory mess, when he looked over and asked if these were gluten free. Ha, I knew he would want them if he saw them! I take it as a compliment too when he can't tell if they look gluten free or not! This was the illustrator's dessert. We both had to stop ourselves from eating them! Can you believe these are gluten free and they bend like that? Not crumbly at all! I would say this is a going in the keeper jar! Put almond flour thru stevia in a food processor and mix thoroughly. 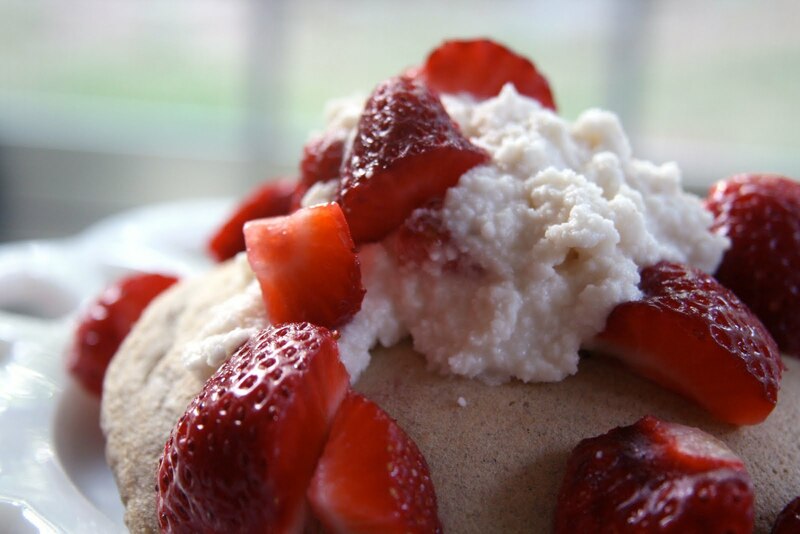 Let this sit while you whip up the 1/2 cup egg whites and cream of tartar to soft peaks. 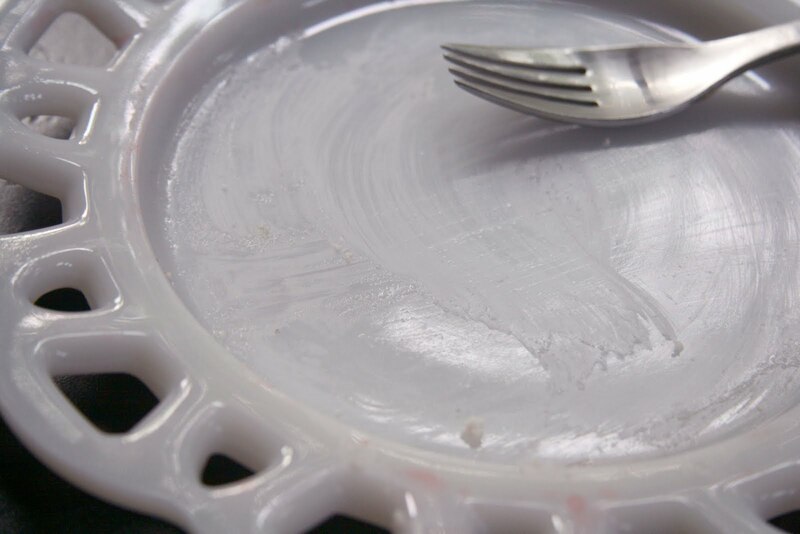 Pour the almond flour mixture into the whipped egg whites and fold the mixture together. You don't have to be too careful with it. Cook on a preheated electric skillet coated with cooking spray. I used a quarter cup scoop and flipped them when they formed bubbles. Make sure you keep the pancakes smaller so they can cook thru without burning. Mix together adding more liquid if needed to reach your desired consistency. All of your recipes just leave me with my mouth open. I won't say whether I drool, though. haha - in all seriousness - these look AMAZING. 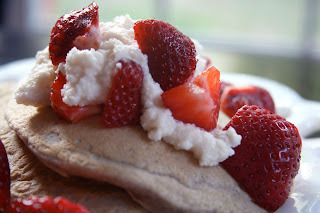 I actually even mentioned in tonight's post how much I LOVE buckwheat. I've yet to play with almond flour, though - but I'm with you, I love the nutrients! And I love making even "splurge" foods healthy. It's so easy to do and still have taste amazing that I figure - why not? I'm going to have to try this coconut cream recipe! 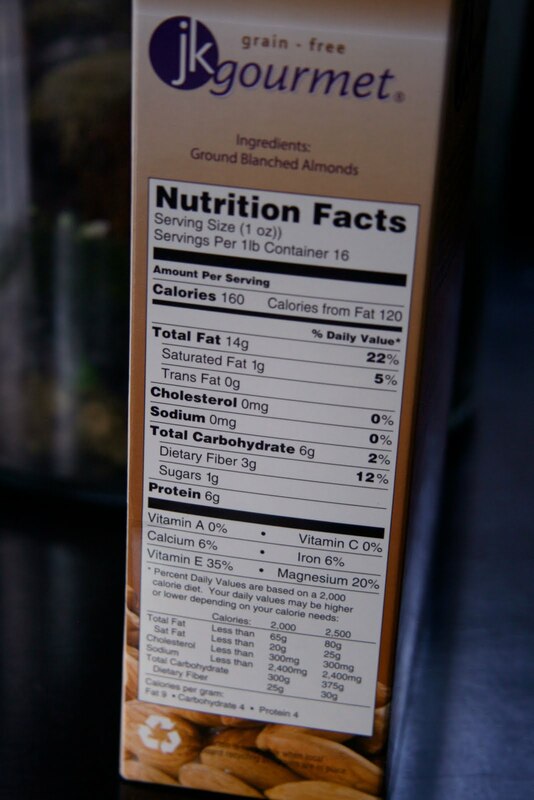 I've heard some good things about almond flour, I need to get some! I'm going to look into it on amazon.com right now! I love reading about new recipes. thanks! You know I'm the same way - even when making pancakes, I try to keep them healthy and nutrient dense. Sounds like I have a new flour to look for! hi Sarena! I seriously have no excuse for not visiting your blog more often. kick me? Your pancakes look so fluffy! I love all your creative, GF recipes. 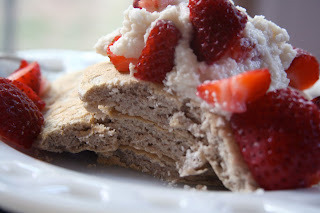 I have yet to try coconnut flour OR almond flour but I'm sure (I know) they're tasty! Yum, those look good! 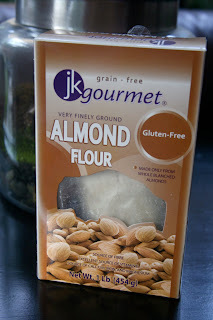 I wish almond flour wasn't so $$$ or I would buy it all the time! Buckwheat is seriously the most amazing flour ever. 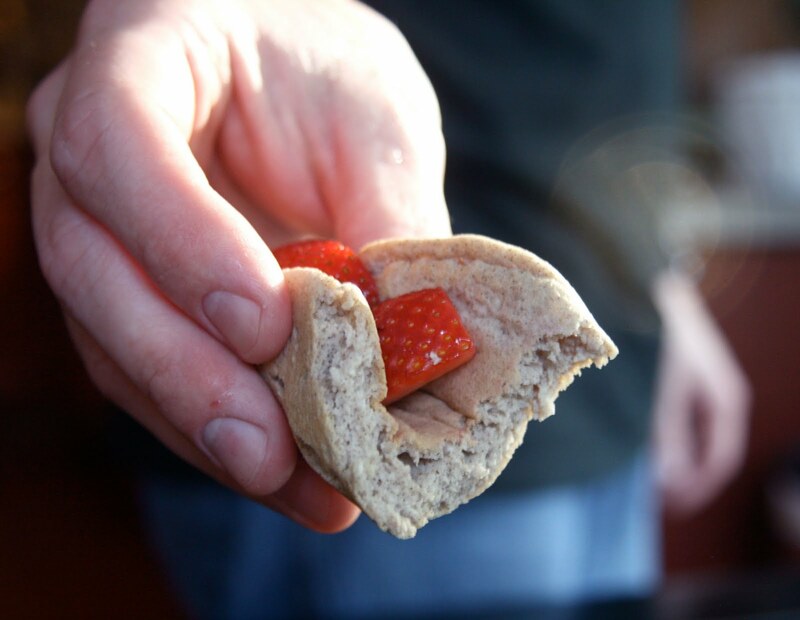 With minimal additives, it makes the perfect bready dishes! I love the coconut cream recipe too. I'm not a fan of the gums. What you've got here is so simple! those look sooo good, serena! This whole meal looks really delicious, now I really want to try the pancakes and the coconut cream! Im really late to the party but the coconut cream sounds FAB! Is the coconut cream recipe for one serving? The coconut cream looks so good! Do you think you could substitute vanilla extract for the vanilla drops? bakingnbooks - I commented to you on HEAB, but I wasn't sure if you would get it or not. This reminds more of a sweetened ricotta than an cream cheese. It's not as smooth as cream cheese. I've never tried before, but I bet coconut butter or coconut oil would be good mixed with it too.